Dr. Habarugira is a veterinarian committed to the teaching and research in veterinary pathology and infectious disease. He currently is an assistant lecturer at the School of Animal Sciences and Veterinary Medicine at the University of Rwanda. His research interests include pathology of infectious diseases, including to bovine tuberculosis, toxoplasmosis, mastitis, brucellosis, viral infections (retroviruses, flaviviruses, coronaviruses), and neglected diseases. Dr. Habarugira holds an advanced diploma of animal health, and a bachelor of veterinary medicine degree from the Higher Institute of Agriculture and Animal Husbandry, University of Rwanda. Dr. Habarugira obtained his master of veterinary science in veterinary diagnostic pathology from the University of Queensland, Australia, where he received a dean's commendation for academic excellence. Additional training includes animal disease diagnostic methods and bovine artificial insemination, as well as in intensive One Health (OH) drills focusing at the wildlife-livestock-human interface. Dr. Habarugira routinely provides OH guidance regarding zoonotic diseases to Rwandan field veterinarians and farmers. He participates in OH activities through One Health Central and Eastern Africa (OHCEA). He has published several papers in in the fields of veterinary pathology and zoonotic disease transmission in peer reviewed journals, and is an ad hoc reviewer for Acta Tropica and the African Journal of Infectious Diseases. Mr. Dieudonne Hakizimana holds a master's degree in global health delivery from the University of Global Health Equity (UGHE) in Rwanda, a master's degree in epidemiology from the University of Rwanda, and a bachelor of science in nursing (BSN) from the University of the West of Scotland, United Kingdom. He has technical expertise in projects coordination, designing and improving monitoring and evaluation systems. His main interests include implementation science and capacity building for health system strengthening. Mr. Hakizimana has 10 years of experience working in the Rwanda health system, including positions at several local and international institutions. 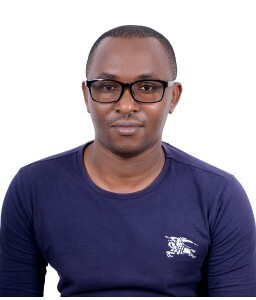 Mr. Hakizimana served as a research associate at the Clinton Health Access Initiative, where he was involved in program evaluation to generate evidence for decision making for the Rwanda Ministry of Health. Mr. Hakizimana has also provided capacity building support to the Rwanda Bio Medical Center’s quantitative data analysis team, and served as a quality assurance manager at the Society for Family Health (SFH) in Rwanda. He has worked at the Rwinkwavu District Hospital as a supervisor, where he oversaw capacity building of health professional in health centers. Currently, Mr. Hakizimana serves as a teaching and learning officer at the UGHE. He is involved in curriculum design, facilitates in-class and online instruction, and designs and executes evaluations and course assessments to ensure continuous quality improvement and supports students in conducting their research projects. 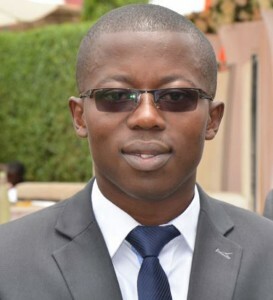 Noel Korukire received his bachelor degree in environmental health sciences from the College of Medicine and Health Sciences at the University of Rwanda (formerly the Kigali Health Institute). He then earned his master’s in health informatics from the University of Rwanda, and a master’s in urban management and development with specialization in urban environment and climate change from Erasmus University, Rotterdam. He now teaches at the University of Rwanda as part of the department of environmental health sciences where he is able to integrate One Health concepts. Currently, he is the Continuous Professional Development (CPD) activity lead for One Health at the university, which aims at bridging the gap in knowledge and skills in infectious disease management in the service staff. Mr. Korukire is also a registered environmental health specialist, and is the department lead for research and community outreach. In addition to his university involvement, Mr. Korukire is an active member of the Rwanda Association of Environmental Health (RWAEH). His professional background includes working to mobilize community participation through implementation of a community-based Environmental Health Promotion program. Dr. Jean Paul Mushayija is a veterinarian who obtained his degree in veterinary medicine (honors) from the University of Rwanda, Nyagatare. Dr. Mushayija’s professional experience in the One Health (OH) field includes research on the prevalence of brucellosis and associated risk factors in cattle in the Nyagatare district. He participated in data collection as part of a national research project entitled “Community Knowledge and Awareness Related to Antibiotic Use and Resistance in Humans in Rwanda.” In addition, Dr. Mushayija conducted a study entitled “Rabies Awareness and Methods of Prevention to the People of Nyagatare District.” In 2015, Dr. Mushayija was selected to attend and present the results of his research project at the One Health Conference in Kampala. Currently, Dr. Mushayija is a One Health fellow with One Health Central and Eastern Africa (OHCEA). He is working to assist OHCEA-Rwanda staff to coordinate, link, and implement activities that promote a OH approach in the community. 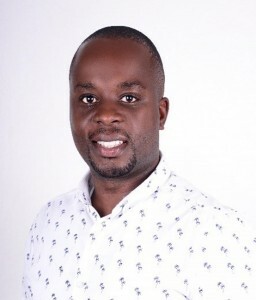 Joseph Ndagijimana holds a master’s degree in global health delivery from the University of Global Health Equity (Kigali, Rwanda), and a bachelor degree in pharmacy from the National University of Rwanda. 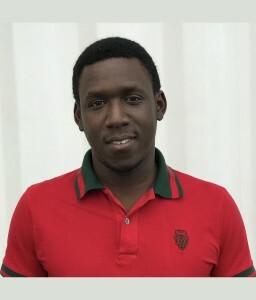 Currently, Mr. Ndagijimana works on the Rwanda Implementation Team at Zipline International, a technology and logistics company that operates a drone delivery service for medical products to rural areas of Rwanda. He is focused on customer success and works to integrate the drones’ delivery service into the existing health system. Prior to Zipline, Mr. Ndagijimana received the prestigious Global Health Corps fellowship and worked on implementing international procurement processes for pharmaceuticals and medical equipment to rural hospitals in Rwanda. Mr. Ndagijimana has an extensive experience in medical supply chains for both government and nonprofit organizations, including the Medical Procurement and Production Division of the Rwanda Biomedical Center and Partners in Health. He has been a registered pharmacist with the Rwanda National Pharmacy Council since 2012. Benjamin Ndayambaje is a Ph.D. candidate in One Health (Natural Resources) at University of Nebraska. He is interested in applying one health core competencies and principals to address water quality, gut microbiome, stunting and cognitive development as one global health threat. The long-term research goals will aid to meet critical societal need of improving child health and development in low- and middle-income countries facing challenges of food and water security and health care access. Benjamin earned a degree of Master’s of Science in Global Health Delivery from University of Global Health Equity, Kigali, Rwanda. His MSc capstone project “pesticides practices and application among rural community in Eastern Rwanda” results will be presented in forth coming 5th International One Health Congress, Canada. 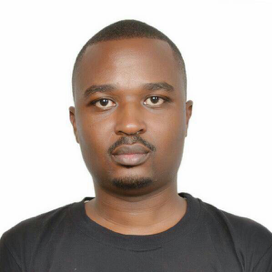 Moreover, he’s a bachelor’s degree in Veterinary Medicine at University of Rwanda. 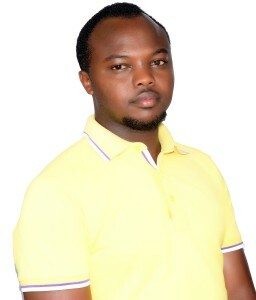 Benjamin has six years’ experience as University of Rwanda Assistant lecturer, and research project manager. He has participated on a number of community health promotion outreach, and research projects in different capacities. He has over one-year experience working with non-governmental organization as senior officer. He has experience in curriculum development consultancy, project design, management and rural development intervention implementation. In 2014-2015, he won a very competitive Global Health Corps fellowship to with Partners in Health-Rwanda as a “Senior Food Security and Livelihoods Program officer”. He attended leadership training at Yale University, Connecticut, USA. Mrs. Aurore Nishimwe is currently an assistant lecturer in the department of health informatics at the University of Rwanda (CMHS, UR). She holds a master’s degree in health informatics, a bachelor’s degree in population studies, and an advanced diploma in anesthesia. She is pursuing her Ph.D. in public health at the University of Witwatersrand, Johannesburg, South Africa. Her areas of research interests include telemedicine and eHealth, health informatics, tele-anesthesia, quality assurance in education, and public health. In 2015, she won an award for her work from the International Society for Telemedicine and e-Health (ISfTeH). Professionally, Mrs. Nishimwe coordinates Continuous Professional Development (CPD) courses. She is the departmental lead for the examination and appeals committee, as well as the chairperson of e-learning, web design, and consultancy. 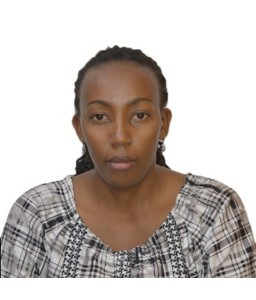 She is a member of the following organizations: the departmental quality assurance committee, ISfTeH, the Brazilian Telemedicine and Telehealth Congress, the Rwanda health informatics organization (RIO), the Rwandan Association for Anesthetists, the Rwanda Allied Health Professions Council (RAHPC), and the East Africa Higher Education Quality Assurance Network (EAQAN). 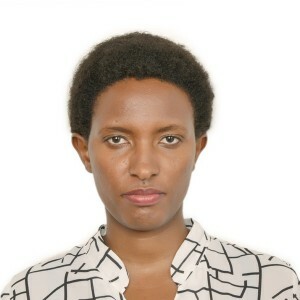 Mediatrice Uwanyirigira holds a Bachelor of Science in Biotechnology from the Institute of Applied Sciences (INES-Ruhengeri), Rwanda. Since February 2018, she has been enrolled in a distance learning Master’s program in Veterinary Epidemiology and Public Health at the University of London, Royal Veterinary College. After completion of her secondary education, Miss Uwanyirigira joined the Department of Biology at the School of Science as a junior laboratory technician. Currently, she is the senior laboratory technician in charge of Biology and Biotechnology Center of Excellence, Molecular laboratories at the University of Rwanda. Under Belgian cooperation with the University of Rwanda, she received molecular laboratory trainings at the Free University of Brussels (ULB) in Belgium and also at the University of Buea in Cameroon. Miss Uwanyirigira has over ten years experience with academic laboratories, and currently oversees four labs. She has helped facilitate partnerships for the University of Rwanda with international institutions including LEAF Pharmaceuticals, a US pharmaceutical company.